Confound these ponies! They drive me to MUSH! 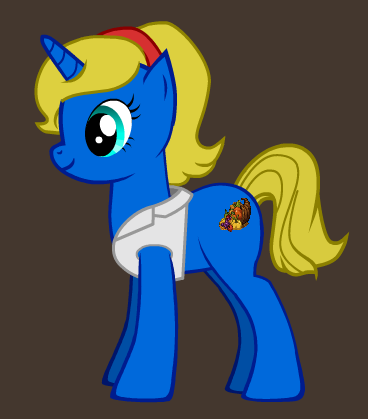 A Unicorn in her late 20s with a vivid blue coat, blond mane and tail. Wears a white vest. Does not speak much unless spoken to, but when speaking to her she's polite and gracious. Is a rather skilled toy maker but few know this as she keeps it, like many other things about her, to herself.